Great location in the middle of Kowloon - a bit farther away from the main shopping, but still in a great area. The beds were very hard and really took a toll on us after four nights. - Location is the key for this place which is located few step away from the subway. Also the airport express shuttle bus is at first stop near the hotel (City view hotel). - Room is small as the value of money I paid. - Amenities are worse comparing with other hotels that are the same price. There is only shower gel but not shampoo and no conditioner. New property, clean and very close to train station. Staff very nice, they allow early check in if room available, and fast process when check out. It would be nice to have more shelve space in both the bathroom and bedroom considering the size of the room and inability to properly store or organize items if one is staying for several days. We stayed 4 days and would have appreciated shelves to place items to remain organized and not have to rummage through and live out of our suitcase the entire time. We got the deluxe room and thought it was adequate, cannot imagine staying in the small regular room. 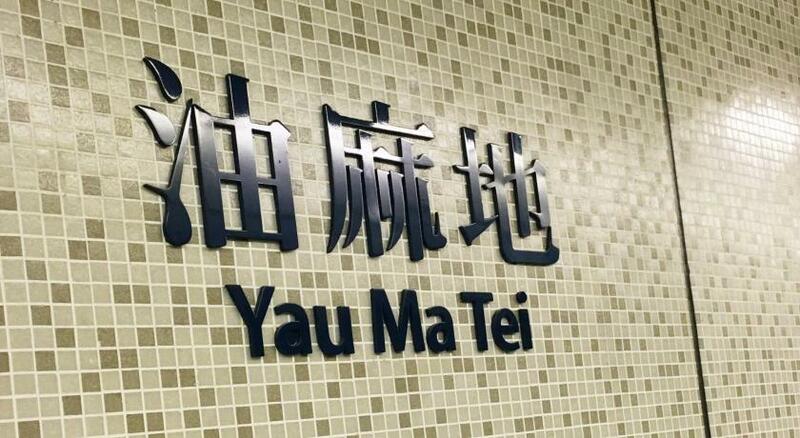 Very near to Yaumatei mrt and close to many good restaurants and shops. Have waiting seat downstairs and be able to leave luggages. Comfort bed and good view. It is very good idea to hv the build-in safe. Great location for food n MTR station. Location of the hotel because its near to the MTR. This hotel is very clean and friendly stuff the location is perfect. Location is great but the room is tiny. Room is clean. Staff is friendly and helpful. Inn Hotel Hong Kong This rating is a reflection of how the property compares to the industry standard when it comes to price, facilities and services available. It's based on a self-evaluation by the property. Use this rating to help choose your stay! Inn Hotel Hong Kong is conveniently located in Hong Kong. Yau Ma Tei MTR Station is only steps away. Its excellent location in the heart of Kowloon brings a tremendous convenience to guests coming for business and leisure. Free WiFi access is available in all guest rooms. It takes 10 minutes on foot to the buzzing Temple Street, Fa Yuen Street and Ladies' Street. The lively Tsim Sha Tsui Shopping Area or Central can be reached in a 10-minute subway ride. Hong Kong International Airport is a 35-minute drive away. Each unit features high ceilings and elegant interiors. Rooms are designed with a contemporary ambiance with high ceilings and large bay windows, balancing modern chic and classic styles. It is fitted with a writing desk, a safety deposit box, tea making facilities and a seating area. The private bathroom comes with slippers. Guests can enjoy free local calls and a panoramic view of the famous Victoria Harbor in some guestrooms of high floors. At Inn Hotel Hong Kong guests can find a 24-hour front desk and an internet corner. The staff at the tour desk can assist with sightseeing arrangements. There is no on-site restaurant while many local eateries are located within steps of the property. When would you like to stay at Inn Hotel Hong Kong? Located on floors 21 to 30, the tasteful decorated room feature a seating area, an electric kettle and air conditioning. Guests can enjoy 2 bottles of water and make local calls free of charge as well as the view of Victoria Harbor scenery. Located on the higher floors 21 to 30, the guestrooms have air conditioning, electric kettle and seating area. Guests can enjoy 2 bottles of water and make local calls free of charge as well as the panoramic view of of Victoria Harbor scenery. This triple room features a seating area, air conditioning and electric kettle. House Rules Inn Hotel Hong Kong takes special requests – add in the next step! Inn Hotel Hong Kong accepts these cards and reserves the right to temporarily hold an amount prior to arrival. For those who book the package with airport shuttle service, please inform the property the flight detail through the special request column during the booking process or contact the property directly after booking. The airport pickup service has to be reserved at least 2 days prior the arrival date. WIFI was very poor in the room and even after complaint nothing was done until on the 3rd day which is not excusable, cleanliness of the room floor and bed sheets was poor, we need the management to check for bed bugs as we have got bitten on our legs! Location is convenient as very near Yau Ma Tei MTR entrance, but quite dodgy people around at night..
Price abit. High ,no compliment coffee and tea and room is small. Shower head is fixed type which makes bathing difficult. The card reader in lift is not well maintained. Need to try few times for the lift to response. Cups in room are plastics type and needed to replace badly. Beds. They were really hard an uncomfortable. I’m quite not appreciated the staff when they informed me that my credit card is not the one I booked which I only use one card per trip and she didn’t let me check in. When I tried to show my reservation confirmation that I presented the right card, there was not even one word of apologizing to me but just continue do their operation. The staff wasn't the nicest one. Great location, very convenient and close to the metro station. Morning tea or coffee was not available in the room, even though hot water kettle was there. It requires coffee or tea pouch and milk powder pouch. The room is too small. The price was high in the weekend.